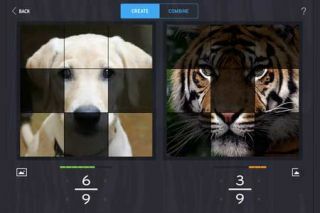 Pros: Ridiculous photo mash-ups are a kid favorite, controls are simple, fraction presentation is easy to understand, and extra options add depth. Cons: Actual fraction content is pretty limited, and lining up faces and other photos can be tedious and frustrating. Bottom Line:Math-flavored goofy fun is great for casual exposure to fractions, but will need thoughtful integration if used as a dedicated learning tool.